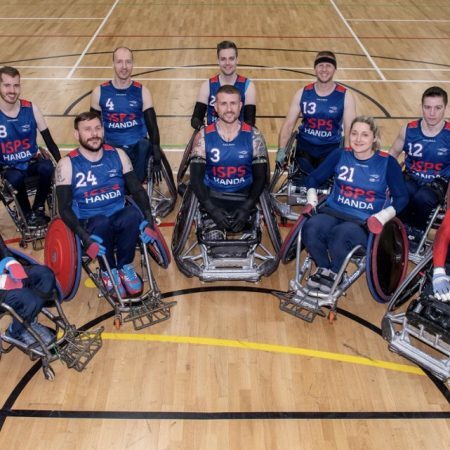 Along with the rest of the nation, and many others across the world, GBWR acknowledged all who have died in the cause of freedom by pausing the Super Series games on Sunday and spending 2 minutes in silent reflection. 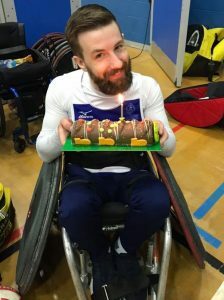 The Paralympic movement has a particular affinity with the military and can be considered a positive outcome of armed conflict. The original purpose of the games was to assist the large number of war veterans and civilians who had been injured during wartime. 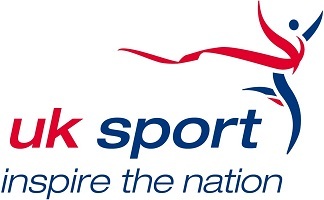 In 1944, Dr Ludwig Guttmann opened a spinal injuries centre at the Stoke Mandeville Hospital and, in time, rehabilitation sport evolved into recreational sport and then into competitive sport. Few could have imagined how this would grow into the international movement it is today. 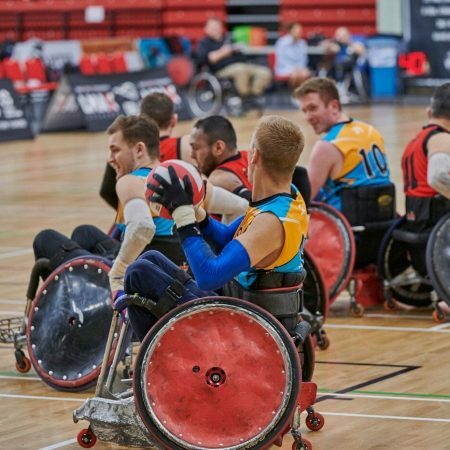 In more recent times we have reconnected to the military, first through our Help for Heroes programme where we introduced the game in all of the military rehabilitation centres and then through the work we did to help establish wheelchair rugby as a sport within the Invictus Games. 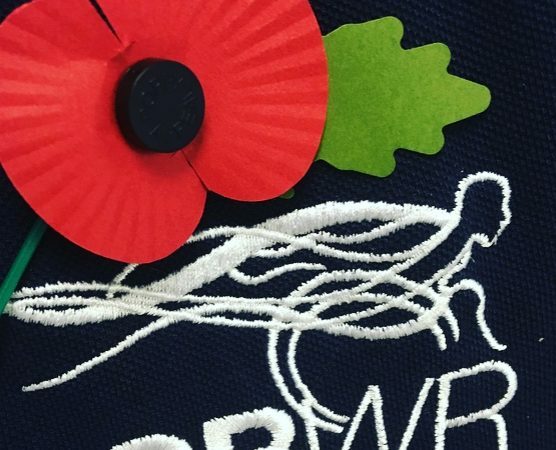 We also have a number of GBWR personnel who have themselves served in the military: Alan Ash was a Royal Marine, Richard Allcroft a submariner, Bob O’Shea served in the Army ,as did Paul Jenkins and current GB athlete Ryan Cowling, whilst fellow GB team member Stuart Robinson served in the RAF Regiment and was injured in Afghanistan. 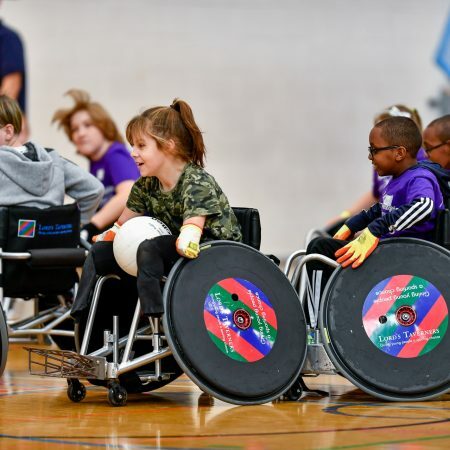 We have always recognized that wheelchair rugby is more than a game, it brings people together to share and learn from one another’s experiences and to enjoy a dynamic and physically challenging sport. 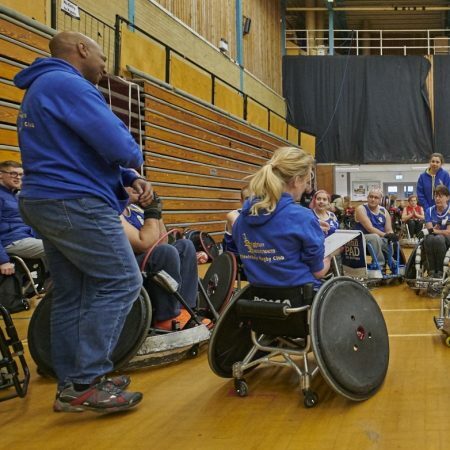 In our strategic plan we talk about building wheelchair rugby communities and in that sense our sport and the Paralympic movement more generally has much in common with the military which is itself more of a community than a job. I was reminded this week just how life changing and life enhancing our sport can be when I listened to Nicky’s story. 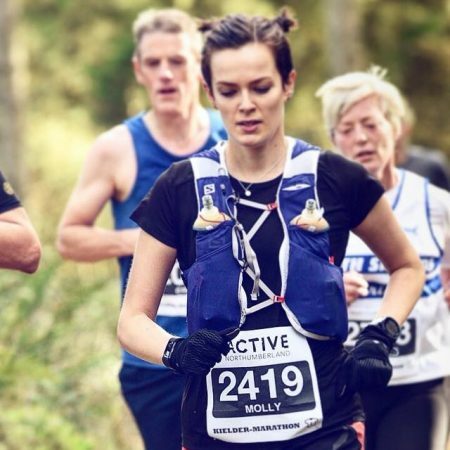 Nicky describes how as an MS sufferer after a serious relapse she felt ‘down’ and ‘suicidal’ but then came across the Brighton Buccaneers who welcomed her and were so friendly and in her words it ‘changed my life, it saved my life’. You can hear her story for yourself at YouTube. We have all probably heard similar stories recently from veterans taking part in the Invictus Games. 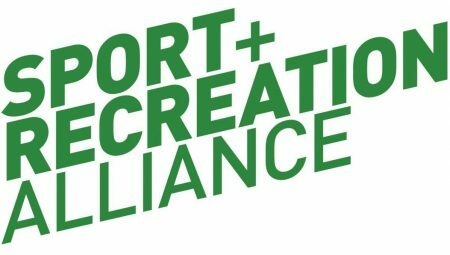 So the sense that we are ‘more than a sport’ has always been very real to me and it’s important that we all do everything we can to make sure our clubs, our training and our competitions are welcoming, fun places to be, and provide great experiences for everyone, no matter what their ability – clearly Brighton as one of our new clubs is achieving this, and I know that others are also. When we worked with members to develop our core values, ‘inclusiveness’ featured high on everyone’s agenda so it is clearly important to those who play the game and we can all be encouraging and welcoming to those who join us or show an interest in doing so. 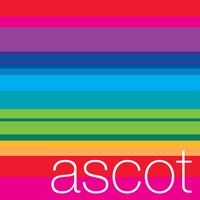 In tune with this we will be supporting Stonewall’s Rainbow Laces campaign which will launch on 12 November. 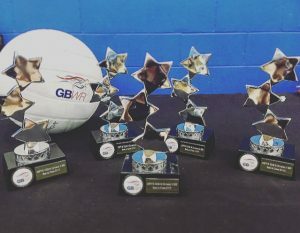 Our main celebratory event will be the Super Series Division 1 tournament on 24th and 25th of November, where volunteers from Stonewall will attend and there will be laces and stickers to promote the campaign. If you look at the home page on the website next to this blog you will get a better understanding of how we want to support the campaign and how we can demonstrate by our actions our commitment to being inclusive. The domestic season is now well underway and after another great weekend of rugby RGC finished top of Division 2 after consecutive tournament wins. Whilst RGC have a bit of a march on the rest of the group, it’s a close fought battle for the clubs behind them with Hawks on 14 points, Burn 13 points and Crushers 11 points. It was great to see some of our junior athletes playing in the adult league – Tilly Robinson (Hawks), Kyran Bishop (Ospreys), Tom Baines (RGC), Harry Tuckington (Ulster) and fantastic to see that Harry was voted as best 3.5/4.0 player. 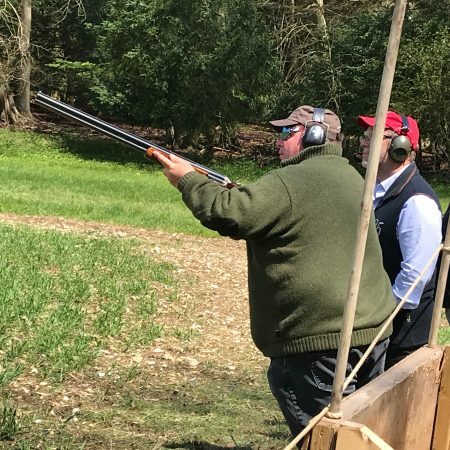 A big thank you as always to all of those who supported the event – the organisers, referees, table officials and volunteers – without you it could not happen. We are still looking for people who are interested in training to become a referee so if that is you then get in touch! 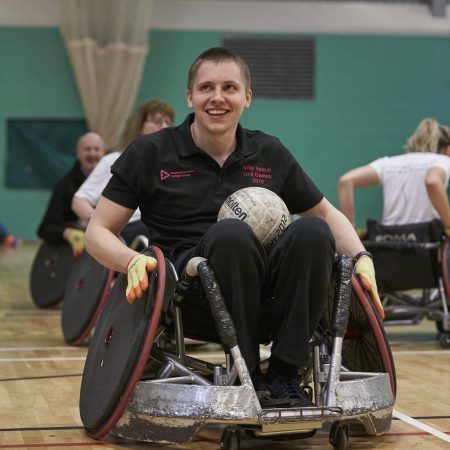 There’s plenty of development work going on and we are still attracting new people into the sport – Dale Thompson our RDO in the North led on a demonstration at Sheffield SIU yesterday where there were 5 participants in chairs and a few more watching eagerly on the sideline. It’s always great to be introducing the game to those who have recently been injured. Doing this in the SIUs is very much going back to how the game started and reminds me of listening to the stories of athletes like Bob O’Shea and Steve Brown telling me how they first experienced the game whilst in rehab. 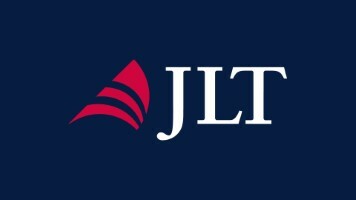 The Lord’s Taverners Junior Programme is also pretty full on and this coming weekend I will be joining them at Llandarcy Academy near Swansea for the Welsh Junior Tournament – we will also be announcing a Welsh Ambassador during the tournament – more on that next week! 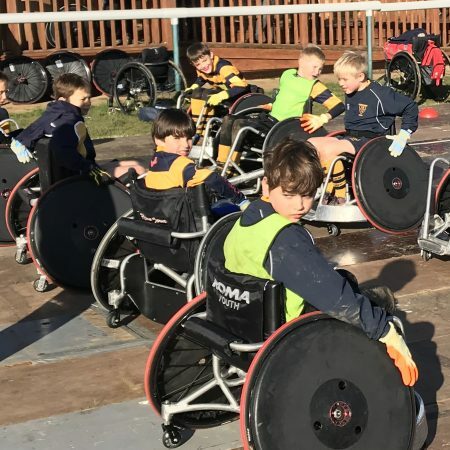 Work with the juniors has also been taking place in Coventry where we have introduced wheelchair rugby to twenty five young people across three schools. This has gone down incredibly well and Angela Collins, sports Co-ordinator for Sherbourne Fields said “not only did you teach the pupils new skills but you allowed them to unlock their potential to maximise their own performance and development”. This is such great feedback and our work with juniors is another example of how we are trying to live the value of ‘inclusiveness’ and not just talk about it. Finally, happy birthday to volunteer Anne, Faye’s mum, from Hawks and Gareth from the Bulls – nice cake!